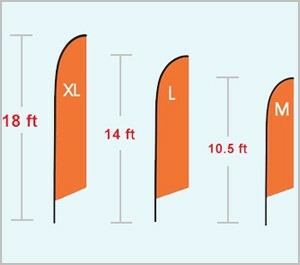 Get Full-Color Vinyl Banners Starting at $2.50 Sq Ft.
ACT FAST! Offer Ends Soon. 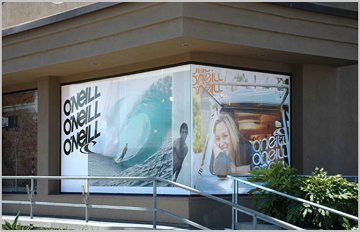 Customize Vinyl Banners, Pop-Up Banner Displays, Step & Repeat Banners and More. 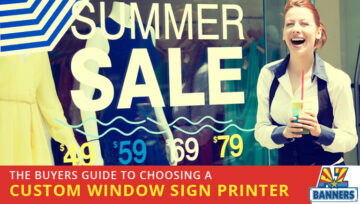 Make Sure Your Message Stands Out With A-Frame Signs, Yard Signs, Window Signs, Instructional Signs & More. Banner Stands, Pop Up Displays, Tension Fabric Displays and Much More! Full Color Signs, Banners & Graphics Delivered Fast Anywhere in the US. 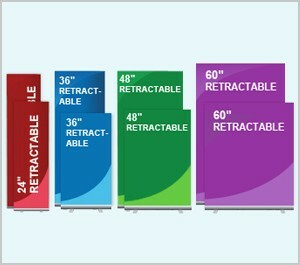 Get the sign you need in the size, color, material and design. Ships fast anywhere in the US. Need to Promote a Business or Product, Champion a Team, or Back a Cause? Stickers and Decals are Great on Cars, Windows, Walls & More. Rugged, high-quality weatherproof banners designed for maximum visibility and long-lasting performance. Perfect for auto dealerships, events, sports, advertising, real estate & more. If you already have your artwork designed and ready to go, great! If you need assistance with graphics let us know. Find the product you need and submit your request. Our team will call you to finalize project details and finalize payment. Our experienced graphics tech’s oversee every step of the printing the process. All projects are inspected for accuracy & perfect reproducibility. Choose the delivery method that suits you. We ship anywhere in the US. Local pickup available in Scottsdale, AZ. Ask about rush orders if you’re in a hurry. 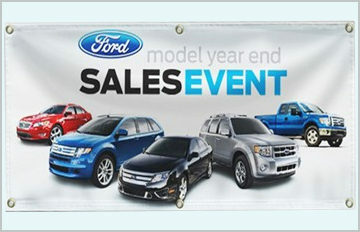 Dress up your indoor event or high traffic area instantly with colorful pop-up retractable banners. Step and repeat banner backdrops create a glamorous, red-carpet perfect for any press-covered event. Feather banners are light-weight, portable & offer high visibility – perfect for outdoor campaigns! A-Frame Signs are highly durable and can withstand the outdoor elements. Choose your size and design! We have become the primary source for signs and banners in Phoenix and across the country. Our customers tell us that they appreciate our fast turnaround, ability to ship anywhere and personal attention to every order. Our quality and pricing result in a great value to every customer we serve. Call today to place an order, get a quote or discuss your sign and banner needs. What size banner can you make? We can make any size banner. 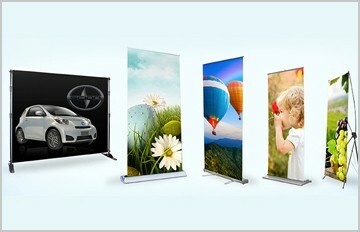 For banners larger than the width of our printers we seam together sections to create super sized banners. How soon will my banner be ready? Our normal turnaround time is 2 – 3 days but if you need expedited turnaround time and you have print ready artwork we are able to finish your banner within 24 hours in most cases. Can you ship my banner? Yes, we can ship your banner anywhere across the US at current UPS shipping rates. What types of materials do you offer? We use many different materials in our printing and sign making processes including banner vinyl, adhesive vinyl, aluminum, coroplast, and poly metal. Will I receive a proof before printing my order? Yes we require your approval of a print proof before we print your order. Do you install banners and signs? Yes we do offer installation services and are happy to provide a quote on request. How do I upload my own artwork or logo? 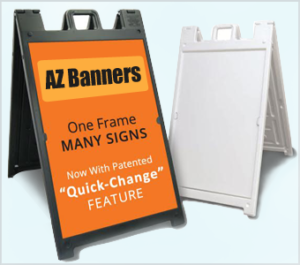 Most files can be emailed directly to info@azbanners.com. For files larger than 20mb there are other options such as Dropbox and Transferbigfiles.com. Is there a limit to the number of letters or words I can have on my banner or sign? No there is not. But the more wording on the banner or sign means the font will be smaller. 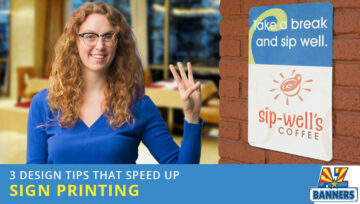 Ready to get started with your printing project? Call today to place an order, get a quote or discuss your sign and banner needs. I do all of my print banner work with Bill as he takes very good care of me. An enjoyable experience. Thank you Bill for making my order so easy. I contacted two other sign businesses and they never responded. Their loss... I'll be ordering from you in the future. Thank you, I should be ordering another sign next week. Thanks! Wow!! Terrific decals, excellent customer service & my decals are perfect!! Highly recommend!! Very fast, high quality & competitively priced! Very pleased with the table top banner - it looks great!! Thank you!! Scott Palluck at Resilience Inc. This is my go to guy. Fast and super reliable. Great quality work and a great communicator.